Souq Waqif, literally means standing market in Arabic. This is the very site where the Bedouin, the nomads who inhabited in the Arabian deserts, sold their wool and animals. 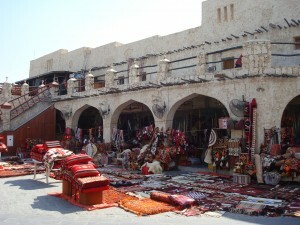 Today, the souq is renowned for selling traditional Qatari garments, spices, handicrafts, and souvenirs. 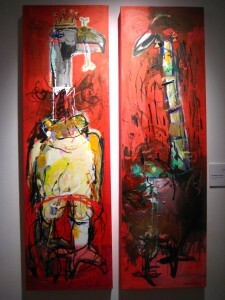 In recent years, people start to appreciate local Qatari artists and the souq has become a hot spot for art galleries and workshops too. 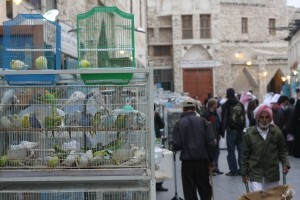 Bird market – you can find all kinds of birds, colored chicks, pet food and equipment here. If your shopping is getting heavy, get a hamali (wheelbarrow porter) to help you. For a small fee, he will help to put your shopping to your car. Don’t want to carry the carpets, fabric and any other heavy shopping home? Just post them. See if there is a post office near you. Still can’t find what you want? Or you want to see something different? 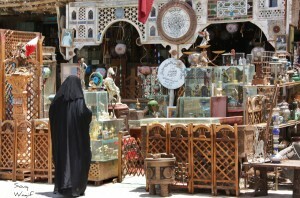 There are other souqs that are well worth visiting too!